Students in grades 1 through 5 from Huber Street embarked upon a shared journey full of hard work, determination and the opportunity to make memories and friendships that last a lifetime. This journey is the Scripps National Spelling Bee! The Scripps National Spelling Bee, is one of the nation's oldest and most iconic competitions, and this year marks the 91st year! The purpose of the SCRIPPS National Spelling Bee is not only to help students improve their spelling, but also to increase their vocabularies, improve writing skills, public speaking and poise, and develop correct English usage that will help them throughout their lives. Approximately 170 dedicated students in grades 1 through 5 from Huber Street School in Secaucus, New Jersey have become a part of this unique experience by preparing for the event. The preparation included the study of 450 words and definitions. The words ranged from first through eighth grade. Additionally, students studied another 1,150 words derived from Latin, Arabic, French, German, Dutch, Old English, Japanese, Greek, Italian, Spanish, Asian, Slavic and New World Languages within the 2019 Merriam Webster Spell It Booklet. Our preliminary spelling bees were held on Thursday, January 3, 2019 and Friday, January 4, 2019. 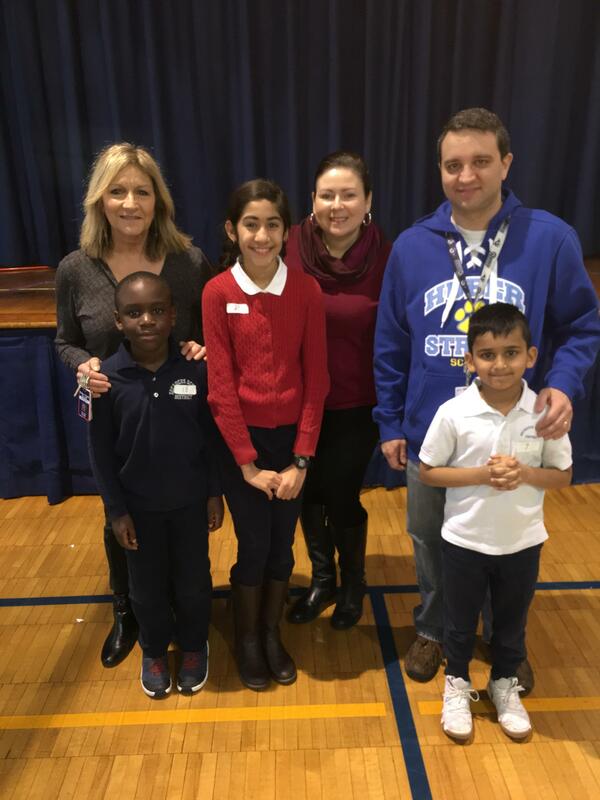 Our Spelling Bee Champion from Huber Street School, Simran Bhatla, will continue her journey by competing on Saturday, February 23, 2019 at The Hudson County Spelling Bee. This county-wide event will be held at the Arthur Couch Performing Arts Center in Secaucus, New Jersey. In the event of inclement weather, the bee will be held on March 2, 2019.